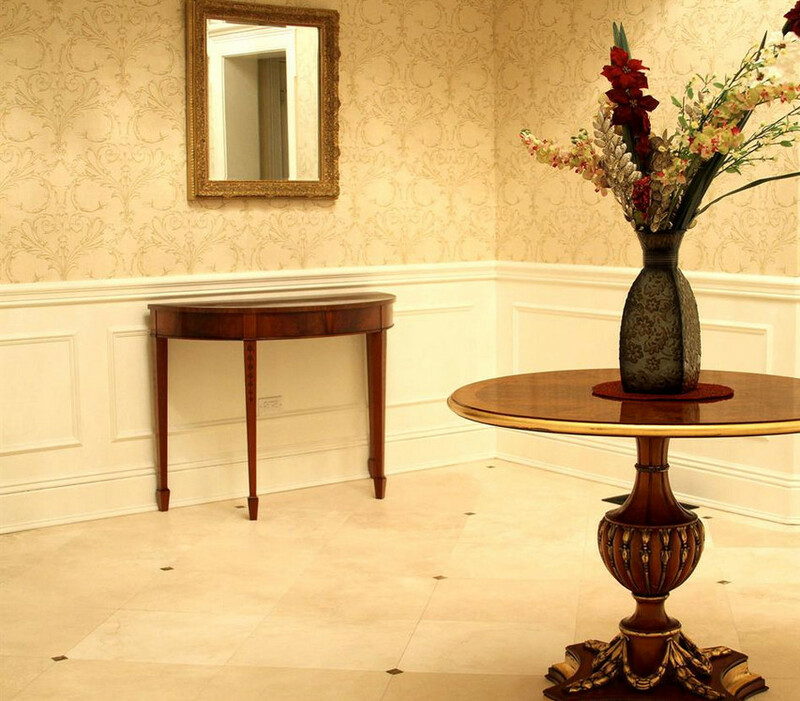 If your entry area is not large enough to host a full-circle table, choose the one in the picture. It is a half round entry table with three tapered legs. Complemented, perfectly, with the surroundings, including the round-shaped glass table in the centre of the room, the half table does not look odd at all.